This place is a visual treat to the people who want to rejoice their life with inner peace. 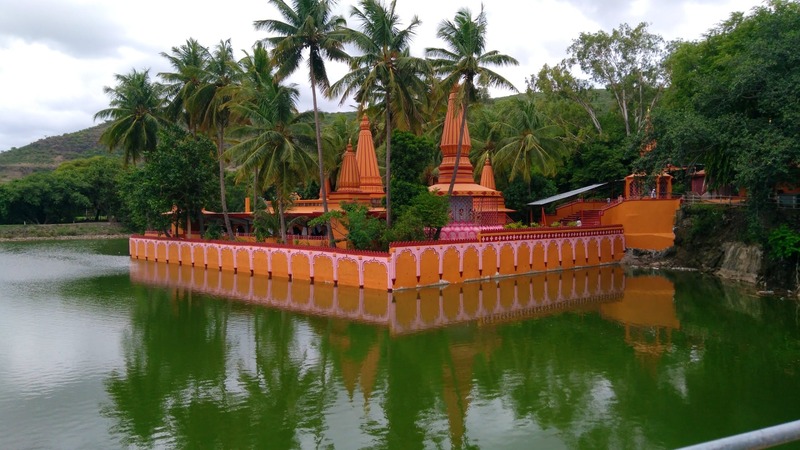 The place has a temple which is surrounded by a lake. Out there, a few kilometres away from the busy city life, everything is different. Long rides, magnificent breathtaking views, sleepy village - what else is required for a perfect visual treat. This place is perfect for a short picnic, away from city life to restore your inner energy. The road is pathetic but manageable. You have to careful in riding that terrain. A bike is preferable and cars can be ok to manage. No board for route direction but we can easily figure out by vehicle traces. Nearly 6 KMS before the temple is the village after that there won't be any eatery. So small snacks and water bottles are musts. There is one shop at mandir we can fill your supplies. Management should take care of surrounding to attract more visitors.